Greg was born on December 15, 1970 as the first born son to Bill and Peggy Willard in Hanford, CA. Greg attended St. Rose McCarthy grammar school from K-8 and Hanford High School graduating in 1989. Greg went on to attend COS and obtained his AA degree in Health Sciences. For the last 16 years Greg had been employed at Leprino Foods West in Lemoore, CA as a Whey Lab Technician. In elementary school his love of Rock and Roll Music was ignited by the band KISS. He took piano lessons and was also self-taught on the guitar. In high school Greg and his brother Allen started a band called Teaser, which was later renamed Trilogy, later still with the addition of new members the band which they renamed GATJA (the initials of the band members) made two music videos and several CD's. Greg was a HUGE fan of Halloween and would spend many hours decorating his home and yard in preparation for one of his EPIC Halloween parties. Greg was a fan of the Tampa Bay Buccaneers and traveled to see them play when he could. In 1999 KK, and in 2000 Nannie-Bannanie, and 2006 Aubs, the 3 loves of his life were born, they were his stars, moon and sky. He was the biggest cheerleader of his daughter's sporting events, and supported them in all of their games. Greg leaves behind to cherish his memory, his beautiful daughters Kaeli, Danielle and Aubrey, his beloved parents Bill and Peggy Willard, his best friend and brother Allen, sister-in-law Tiffany, niece Abby all from Hanford. He also leaves numerous Uncles, Aunts and Cousins and wonderful friends who will miss him dearly. Visitation will be on Friday, February 22 between 4 and 7pm at the Phipps-Dale Funeral Chapel, 420 West “D” St., Lemoore, CA. Funeral Services will be held Saturday, February 23 at 11am at the First United Methodist Church, 500 E. Bush St., Lemoore, CA. With reception to follow at the Armona United Methodist Church Social Hall, 14013 Hanford Armona Rd., Armona, CA. Interment will be held Monday, February 25 at 10am at the Grangeville Cemetery, 10428 14th Ave., Armona, CA for those who would like to attend. 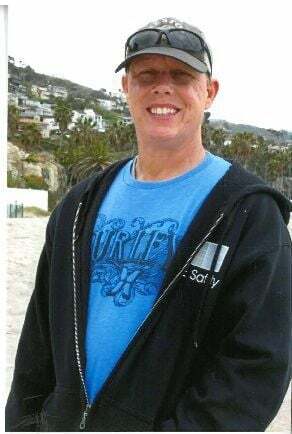 Donations may be made in Greg's memory to the Armona United Methodist Church, P.O. Box 877, Armona, CA 93232 or to the Charity of your choice.